Runway of divine love' : Inspired by Prema, the supreme love of the Gopis for Lord Krishna, Jewelry designer Sumit Sawhney presented his Sawariya collection, at the IFFD Finale Fashion Show on August 31st, Friday at The Grand, Vasant Kunj. Especially designed to complement designer Amit Talwar’s clothes celebrating the theme where Gopis are alluring their beloved Lord, Sumit Sawhney unfolds the era through his jewelry. 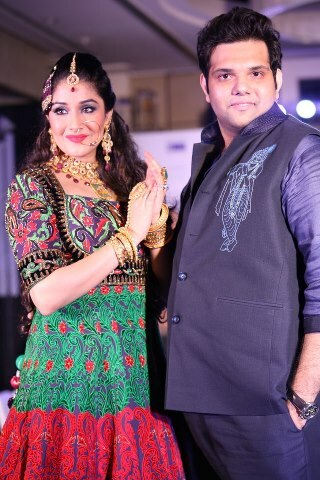 Stunning Barkha Kaul ( DJ from Delhi) , was the show stopper for designer Amit Talwar and Sumit Sawhney and sizzled in the beautiful Sawariya necklace ornamented with real kundan crafted by Designer Sumit Sawhney. I will be back soon with the Post about my Show that happened later at the same event..